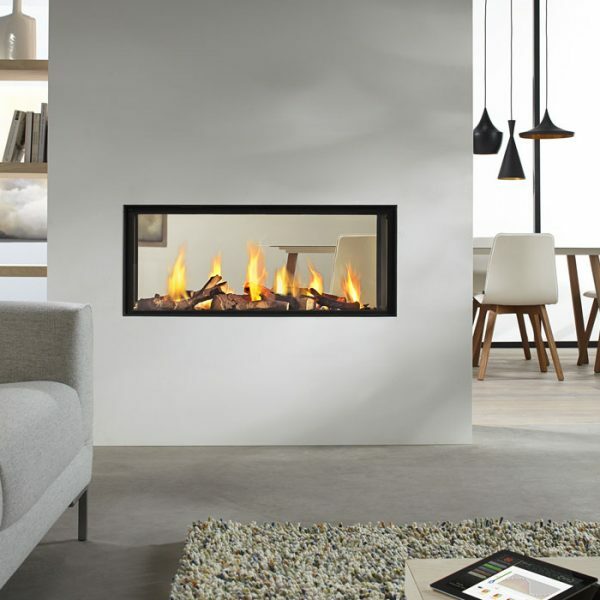 Metro 100XT Tunnel is a see-through balanced flue gas fire for a room divider or adjoining rooms, making an impressive 3D spectacle. 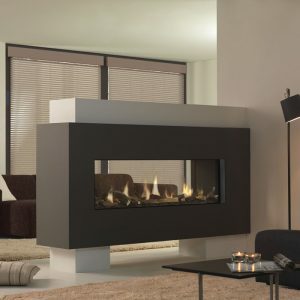 The burner spreads the fire in across the entire width and depth of the fire bed, while the extra tall glass window provides a much higher flame picture than that of ordinary gas fires. 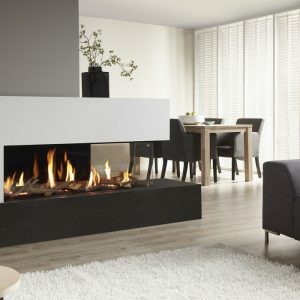 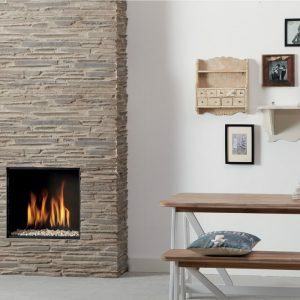 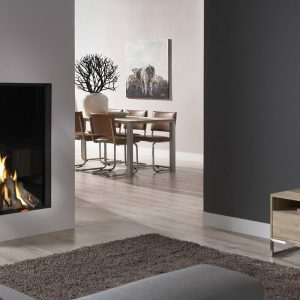 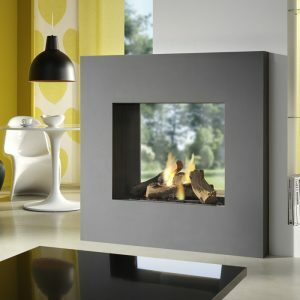 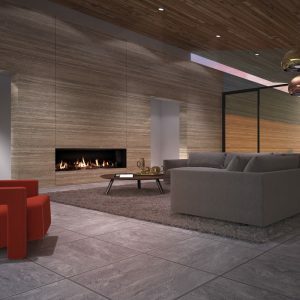 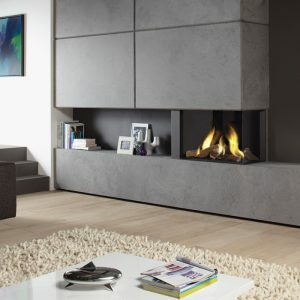 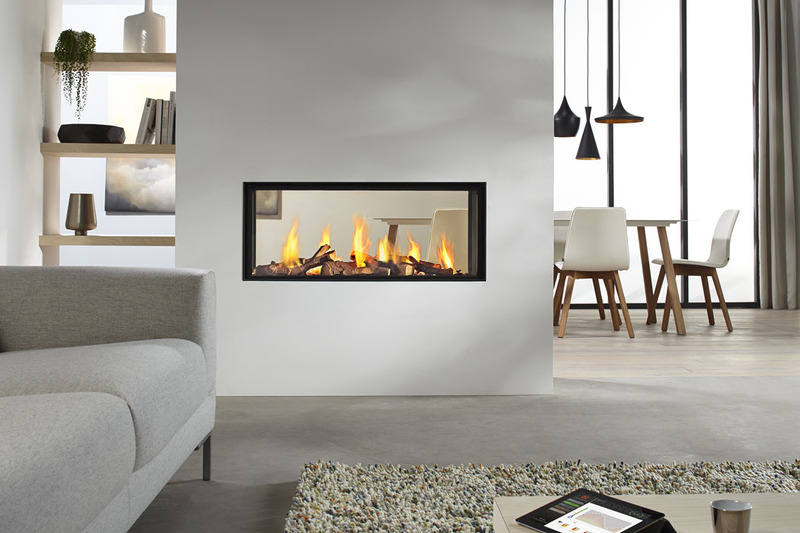 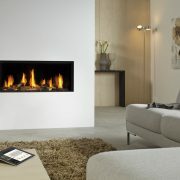 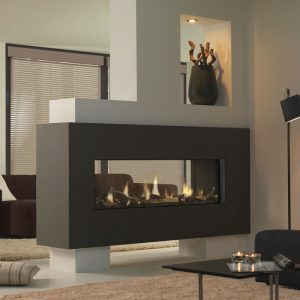 The fire has an efficiency of 85% and 9kw heat output and is operated by remote control and DRU designer gas fires are equipped with the clever and energy-efficient Eco Wave system.